After spending several years working side-by-side building successful careers as individual real estate agents, Christopher Bulka & John Peters merged their businesses in 2015 and created Bulka/Peters Residential. The dynamic partnership between these two highly respected Realtors allows them to combine their superior customer service, innovative marketing techniques, skilled negotiation strategies and professional transaction management to enhance their clients’ home buying and selling experiences. A self-proclaimed military brat, Christopher moved six times before he was eight years old, which sparked his passion for real estate at a very young age. After a career as a professional ballet dancer was cut short by injury, Christopher worked his way through college in Baltimore and enjoyed a tenured career as a marketing executive before he rediscovered his childhood passion and pursued real estate professionally, which Christopher proclaims is the most fulfilling career decision he’s ever made. 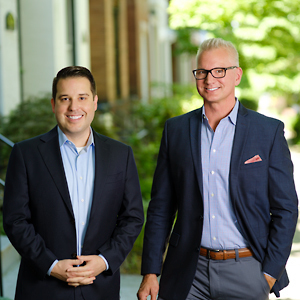 With over 310 closed transactions representing more than $172 million in sales volume since 2011 (as of April 2018), Christopher and John bring a wealth of experience in DC Metro area real estate sales with their joint venture Bulka/Peters Residential. “Our goal is to provide totally professional service, an attention to detail, accessibility, honesty and trustworthiness while we strategically guide clients through some of the most important decisions of their lives."